Bites of creamy strawberry cheesecake dipped in chocolate? Yes, please! These Strawberry Cheesecake Truffles are always a party favorite plus they are great for a baking exchange or as a homemade hostess gift during the holiday party season. Did I mention that they’re a no-bake treat? You do need to let the filling set in the fridge for a few hours before dipping in chocolate so keep that in mind when you’re preparing these for a party. 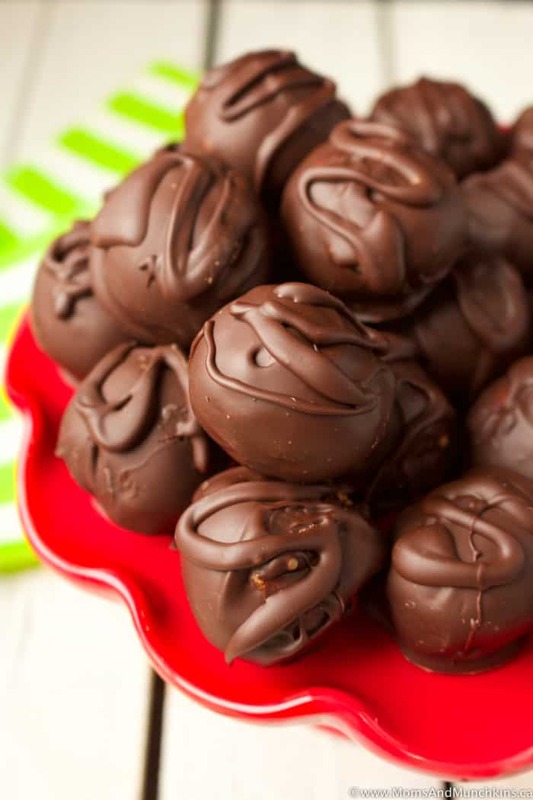 This recipe makes 3 dozen 1-tablespoon sized truffles; however, if you want to hide a dozen of these for your own midnight snack, your secret is safe with me. Beat in melted milk chocolate chips and jam. Stir in crushed Oreo cookies until well mixed. Remove from fridge and scoop into 1-tablespoon size balls. Use your hands to shape these into round balls and place them on a cookie sheet lined with wax paper. 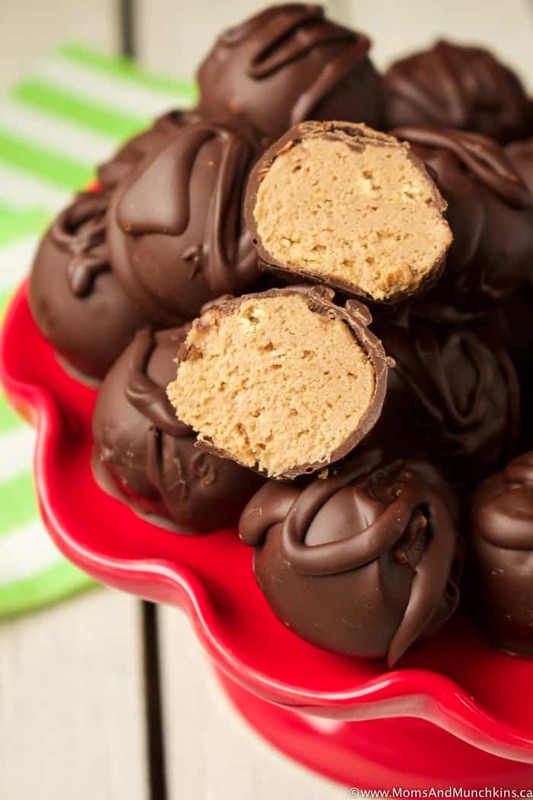 Place cheesecake balls in the freezer for 20 minutes. Place Bakers semi-sweet chocolate in a microwave safe bowl and heat in the microwave on 30-second intervals (removing from microwave and stirring after each 30 seconds) just until melted. You want this melted but not hot so don’t heat this up for too long. 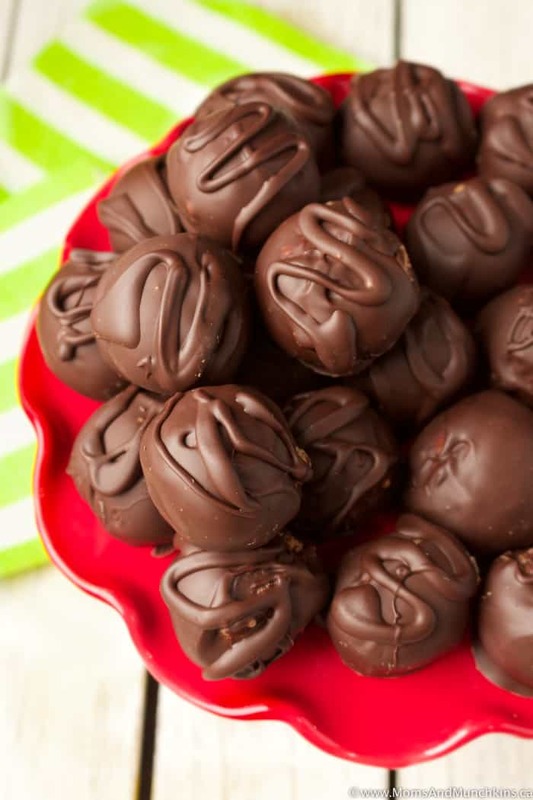 Dip each cheesecake ball into melted chocolate and place on wax paper to set. Once all truffles are dipped, place truffles back in freezer for 20 minutes so chocolate can harden. Store these in the fridge in a resealable food storage bag. Love truffles? Check out some of our other favourites! 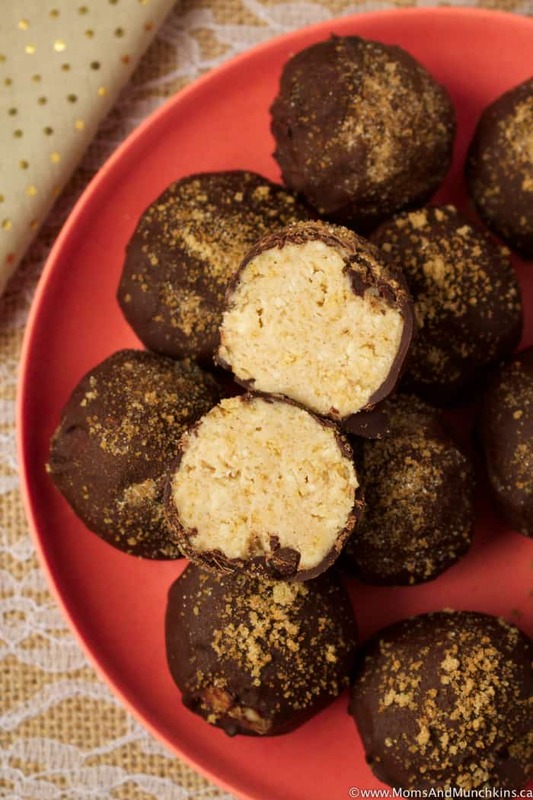 Cinnamon Bun Truffles – like a delicious cinnamon bun & icing combo dipped in chocolate. 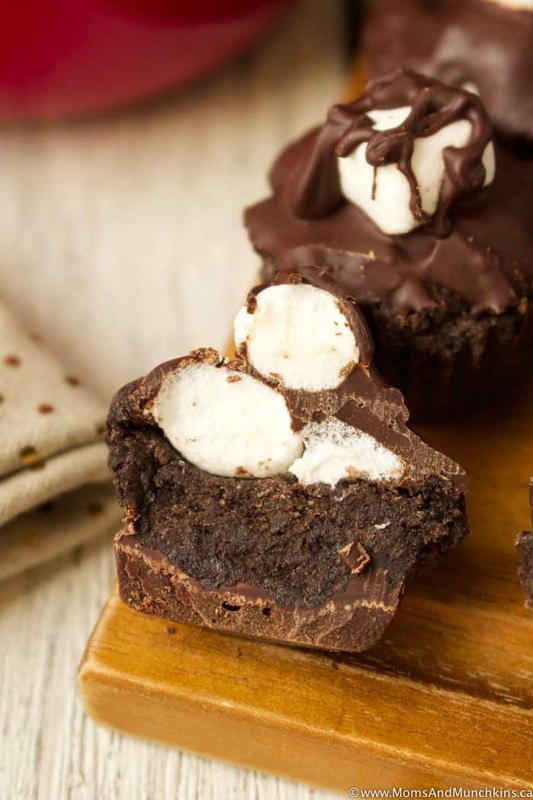 Hot Cocoa Truffle Cups – a tasty treat idea perfect for the holiday party season. Visit our Recipe page for even more tasty ideas! We’re always adding new ideas for recipes and home entertaining. Stay updated on the latest by following us on Instagram, Facebook, Pinterest and Twitter.